A Charmed Wife: Happy President's Day! Dude... You left out this last guy. Ha- good point! I didn't make the illustration, obviously- I stole an old one off the internet. 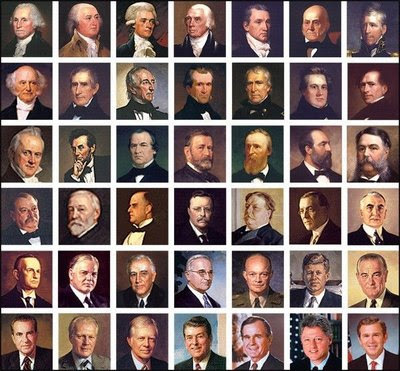 Although, now that I think about it, I'm not sure President's Day is really meant to honor sitting presidents. It's not like Secretary's Day or something. Excuse me, Administrative Professional's Day. Spoken like a true, politically correct debutante.